By: Ilanie Bounik, All my faves, July 10th, 2014. 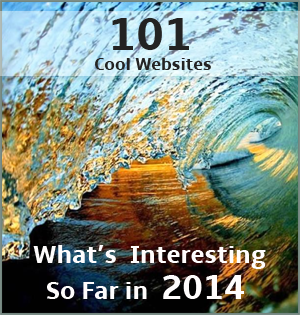 2014 has been an extremely productive year so far, providing us with tons of awesome services and exiting cool websites. On this blog post we are happy to share the very best of the sites that we have reviewed this year on our Weekly Faves project. Whether it’s a useful internet tool, a new video site, a new amazing music website, or a productive online tool, you’ll find it here. Enjoy.